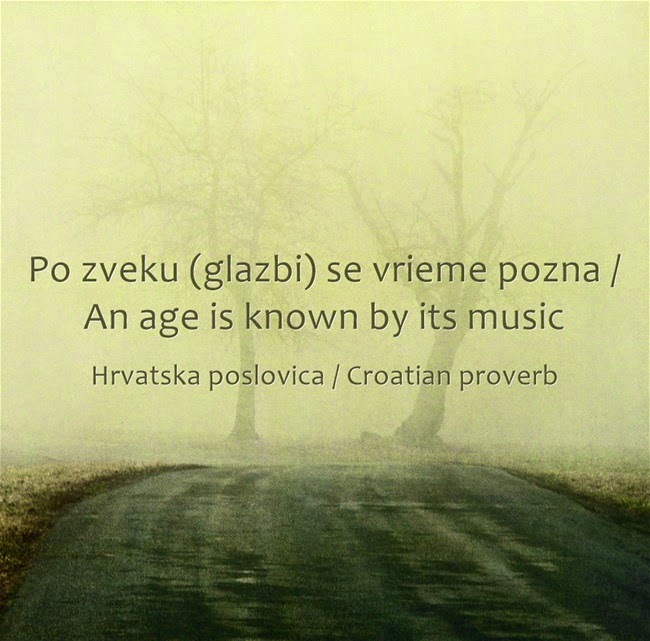 "Po zveku (glazbi) se vrieme pozna" / "An age is known by its music"
In present day Croatian, the proverb would be written as such: "Po glazbi se vrijeme pozna"
"Croatia's first female president, Kolinda Grabar-Kitarovic, was sworn in on Sunday and pledged to help kickstart the EU member's ailing economy." "'I will be a top economic diplomat of our country,' she said in her inaugural speech. She pledged to do her utmost 'to make Croatia a wealthy nation.'" "A new program to help Croatia's poorest citizens tackle their debt and unfreeze blocked bank accounts went into effect on Feb. 2. The government is planning to spend up to $300 million on the program, titled 'fresh start', that will cancel the debt of Croatians who make less than $138 a month and have debts up to $5,100." "The law affects more than 1% of Croatia's population of 4.4 million […]. 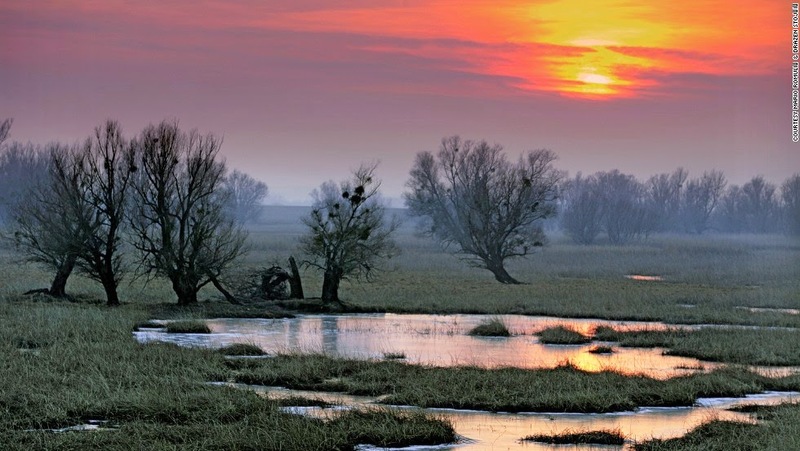 Croatia recently entered its sixth year of recession, and is expected to experience weak economic growth this year." "A conservative populist became Croatia's first female president Sunday after beating the centre-left incumbent in a runoff election amid deep discontent over economic woes in the European Union's newest member." "Grabar-Kitarovic, a former foreign minister, ambassador to Washington and an ex-assistant to the NATO secretary general, said earlier Sunday she felt 'very confident' of a victory because 'people will vote for a change.'" A conservative populist became Croatia’s first female president Sunday after beating the center-left incumbent in a runoff election amid deep discontent over economic woes in the European Union’s newest member.